The band recently linked with Alcopop! Records to launch their new album, with 'Strange Entertainment' set to be unleashed on October 26th. With a huge UK tour planned, Kagoule aren't holding back - confident in themselves, and the material, they want to pursue every opportunity, every chance placed in front of them. New single 'It's Not My Day' is online now, and it actually owes a debt to the heavy period of touring that surrounded their debut album 'Urth'. A biting return, it pits the seismic force of the Nottingham trio's live attack against incisive lyricism that engages at every turn. 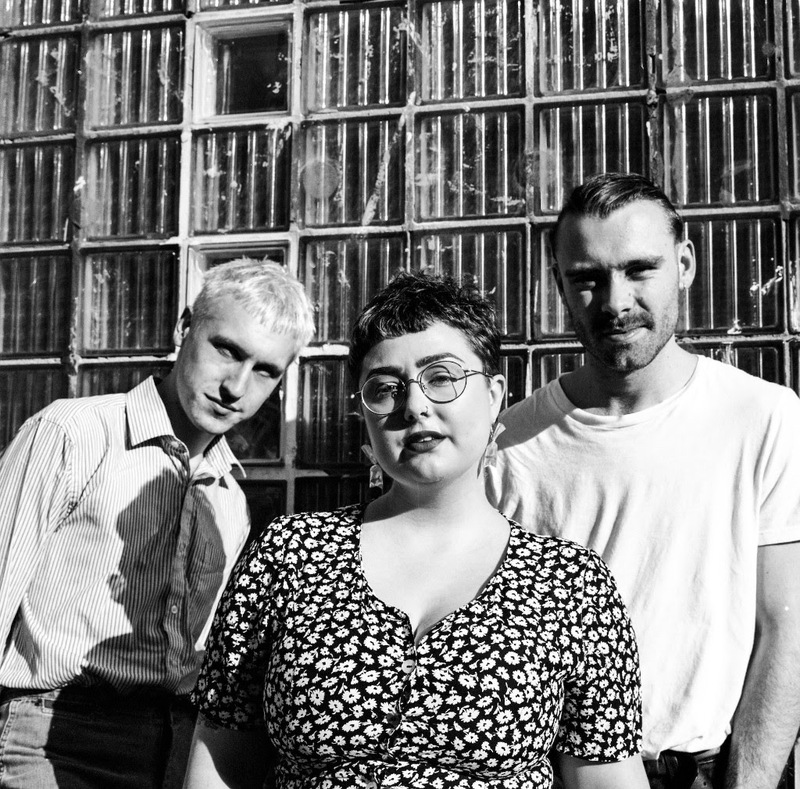 With 'Strange Entertainment' incoming we decided to link with Kagoule, to find out more about their single, the new album, and their upcoming tour. Check out 'It's Not My Day' below, then catch a full Q&A with Cai Burns. What spurred you to write ‘It’s Not My Day’? So I've just opened the text edit file (where all my lyrics are created) and seen that I wrote the lyrics in December 2016. This was at the end of a long and busy year touring our debut record 'Urth'. I hadn't started writing the second album at this point and we had only released a handful of stand alone singles over the course of the year. It was after writing this song that I had the—I guess I'll call it ‘vision'—of a new album. So 'It's Not My Day' was the beginning of 'Strange Entertainment'. It's hard to remember the exact moments that inspired a song but I think this song is about keeping it together in front of people or situations that intimidate you. There was lots of changes happening at that time and I needed to remind myself to face up to them. Can you remember recording it? Was it an easy one to get down? Just about! Recording can become a bit of a dream world sometimes. I remember MJ thinking it was a "banger" which got us super excited for recording it. The track did take a bit of work in the end though. We got the bass and the drums down pretty quickly, Lucy always smashes it on vocals, but we did struggle with the guitar. We couldn't settle on a tone. I probably went through most of the guitars and amps in the studio before ending up settling with a Telecaster into a Fender Twin. Which is what we had set up in the first place, and is the guitar sound on most of the record. We didn't want something too overpowering that was going to dominate the track, but we did want to keep the muscle of it there. We were sat for an hour listening to Pixies records trying to emulate that tone that somehow gives a song a lot of energy all while it not sounding ‘heavy'. Whether we did that successfully or not i'm not sure. How representative is it of new album ‘Strange Entertainment’? It's a good representative of the album, hence why we are releasing it as our final single before 'Strange Entertainment' drops. Maybe it's like trying to smell your own scent, and it's hard for me to hear it myself, but people I've shown the track to say it's very...Kagoule. With it being the first track written for the new album it's a nice bridge from 'Urth' and one of my favourite tracks on the record. What do you think the main themes of the album are? Jagged dynamics, wonky guitar and melancholy lyrics I think are the three recurring themes on the album. I just have no idea how to write a happy song or play the guitar properly it seems! I always think the most spine chilling moments on any record are often in the dynamics so I always like to play around with those. You discuss restrictions in songwriting in your press note – how does that play out with this single? What are those restrictions, and how to they benefit/inspire you as a songwriter? If I'm sat in front of the computer trying to write a song I overload it with layers and ideas and honestly just confuse myself. A really beneficial part to songwriting for me is actually partially forgetting what I've done. It lets the track kind of subconsciously brew in my head and alter itself over time. With software everything you do is saved and cemented there for when you return to it, theres no room for it to change, or happy accidents to happen. I wrote a lot of this record on a broken bass guitar in my bedroom, thinking that if I could get a track to sound good with just bass and vocals then I couldn't really go wrong with whatever else I added to it. Doing that meant I had a big empty canvas for the guitar and I could do whatever weird bendy stuff I wanted over it. I've always believed in the whole 'less is more' thing. It's the one piece of advice I'd give to any songwriter. Cut out the excess. A skill every guitar player should earn is 'when not to play'. Think Fugazi! It’s been a big summer for you – what have been the highlights so far? The year started with a big Europe tour. It was our longest stretch in the EU and it felt like it lasted a lifetime. We've recently started being our own manager and booking agent so it was all self-booked and organised. This did have its problems as we aren't the most professional of musicians, but it was a lot of fun. We met some amazing people and because we didn't follow the normal route of 'agent contacts successful promoter' we ended up in some very weird situations. Definitely made some memories though! After this we dropped the first single from our new record and hit the road with our good pals Drenge. The shows were massive and nearly all were sold out. The whole thing was a dream. We've dropped a few more singles now and are getting ready to tour again in November. Robert Smith invited you to play Meltdown, that must have been a thrill! Have you ever met him? Do you have a favourite Cure track? Yeah that was crazy. When we got the email I thought it was spam! Nearly deleted the bloody thing. I saw him play at leeds festival two thousand and something-teen a while back just as I was discovering The Cure and haven't stopped listening since. Unfortunately we didn't get to meet him at Meltdown but he was in the dressing room next to us and I was very tempted to knock. Favourite track would probably be A Forest. You’re about to set out on tour this Autumn, how important is playing live to the band? Is there a split between live/studio or do the two work hand-in-hand? Yep! And we're super excited for it. I think Kagoule really comes to life when we play live. We've always been a live band. We can't play our own songs well enough to be good in the studio. If you've ever been to one of our shows its full of technical issues and dodgy playing but its real, yanno? That's kind of why our approach to the studio is very live-based. We barely add any extra layers or instrumentation to the songs and the mix is always pretty straight forward. I don't think we have enough attention span when it comes to recording so we never spend too much time on it. I'm not saying we don't enjoy recording and obviously without any of our music recorded we wouldn't be anywhere, but the real kick for me is on the stage. For tickets to the latest Kagoule shows click HERE.